Item # 311378 Stash Points: 6,995 (?) This is the number of points you get in The Zumiez Stash for purchasing this item. Stash points are redeemable for exclusive rewards only available to Zumiez Stash members. To redeem your points check out the rewards catalog on thestash.zumiez.com. 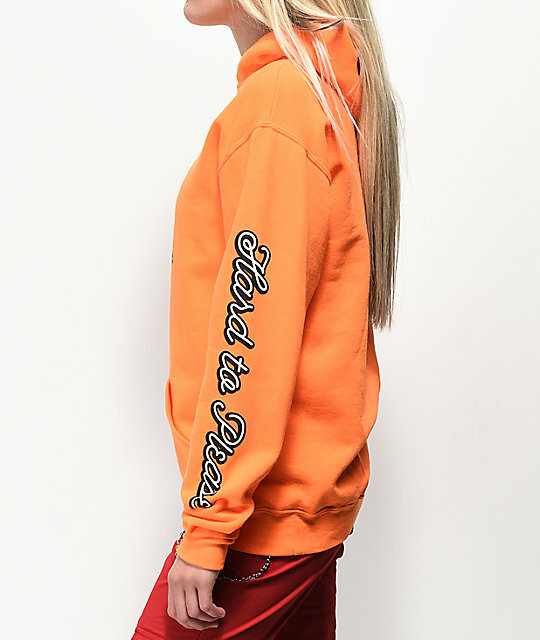 Send a bold message in the Hard To Please Orange Hoodie from By Samii Ryan. 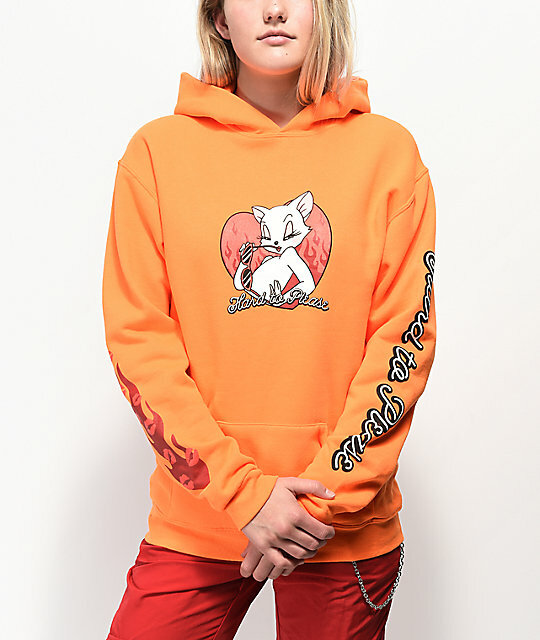 This bright orange, 100% cotton hoodie features an ultra-cute and sassy illustrated cat screen printed on the chest, along with text that reads "Hard to Please." 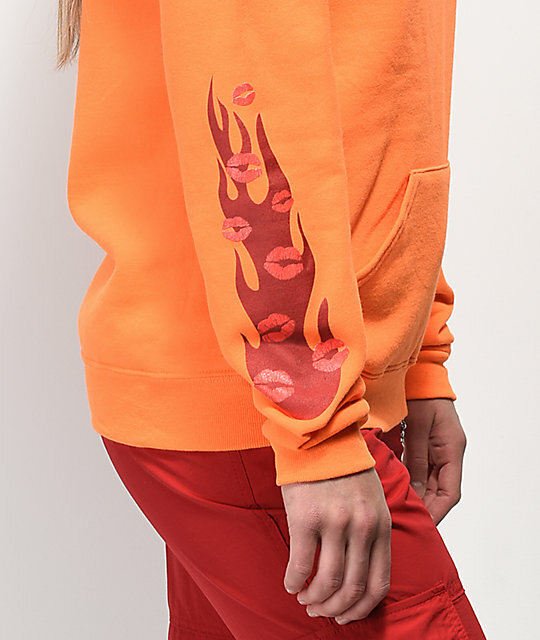 The design is complete with screen printed images on both sleeves, adjustable hood, and kangaroo pouch pocket for a cozy and cute casual design. 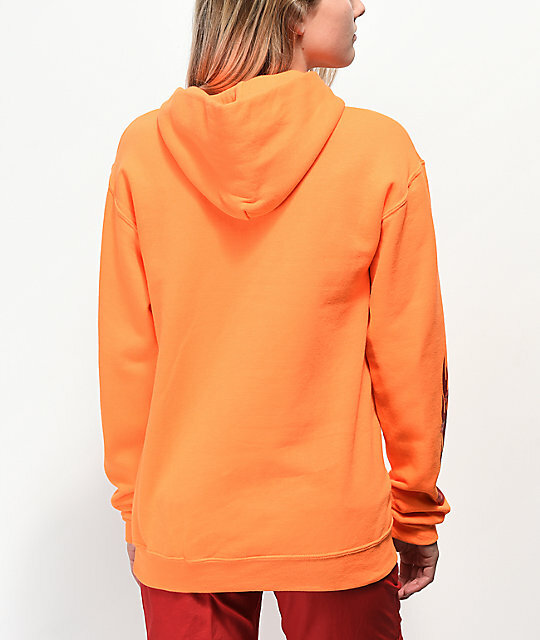 Hard To Please Orange Hoodie from By Samii Ryan. Screen print graphic on chest & both sleeves.